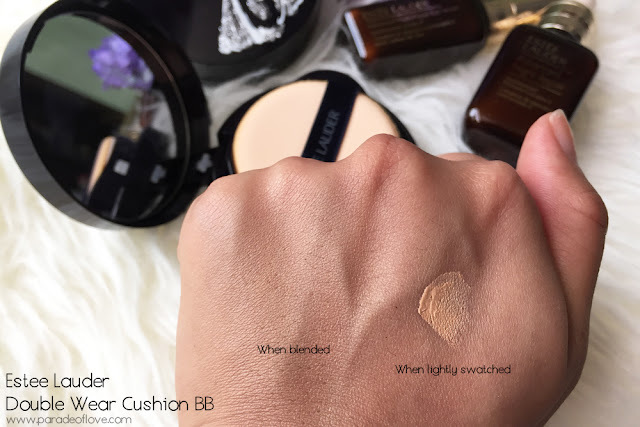 The Estée Lauder Double Wear Cushion BB All Day Wear Liquid Compact SPF 50/PA+++ really is a liquid foundation in a cushion compact. 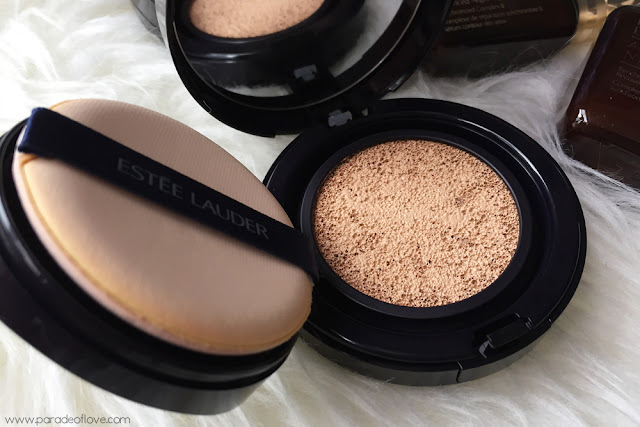 It is as long-lasting as its Double Wear counterparts; it lasts all day! As with all cushions, there is a layer of protective sticker to be peeled off for hygiene purposes. Anyway, I’ve been using it a while now and I enjoy the smooth coverage that helps to minimise pores and imperfections. 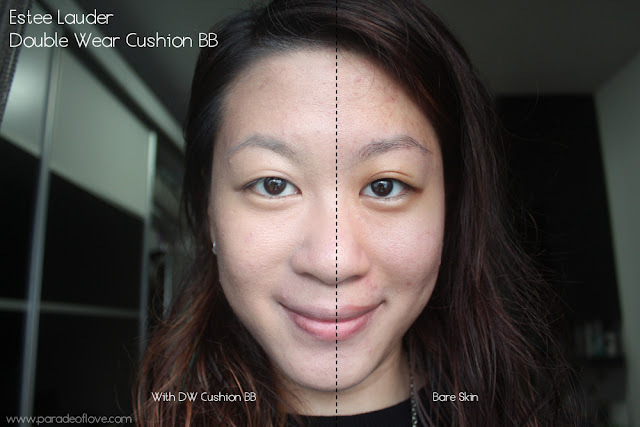 The beauty of this cushion is that it is oil-free, and helps to control oil and shine. 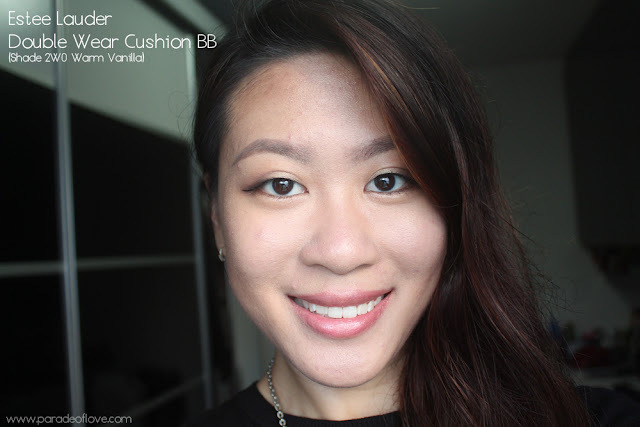 Never had I encountered a cushion that dries down to a matte-finish! I still pat on some loose powder though to make my makeup stay longer. 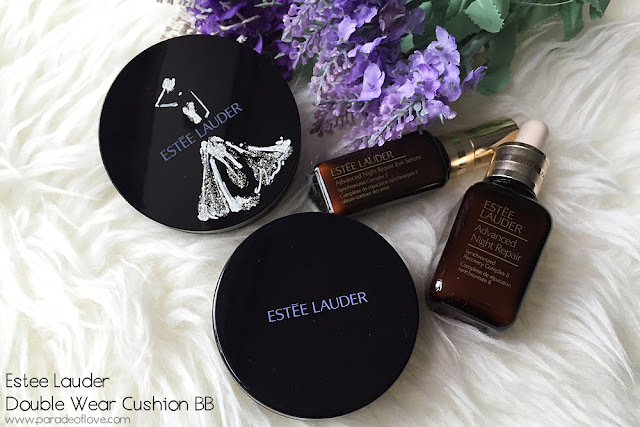 If you already love the Double Wear liquid foundations, you will like this as well. It is also said to be water-resistant and the SPF 50/PA+++ is going to protect your skin from the sun in this hot and humid weather too. As much as I enjoy the formula, I have to say that I absolutely hate the puff. It feels squeaky and too bouncy on the skin and I felt that it absorbed more product than helped to distribute evenly on my skin. I prefer using my flat top kabuki brush because it gives me a more even application without wasting too much product. Every bit is precious, isn’t it? Want more coverage? Simply layer it. 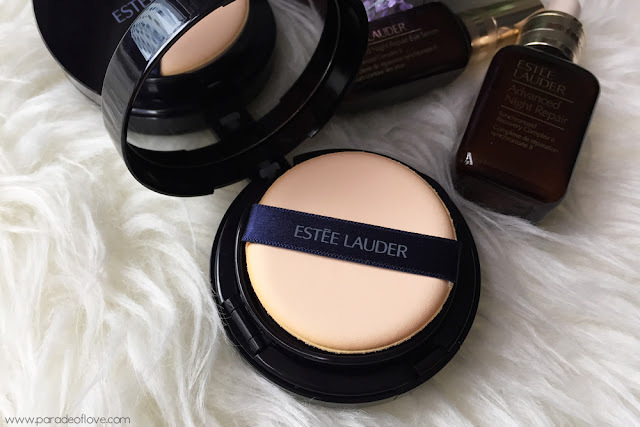 The formula allows for buildable coverage and blends in nicely without being too cakey. A little goes a long way so don’t go apply a super thick first layer if you want a natural yet medium-full coverage look. There are 5 shades in the range – Bone, Sand, Cool Vanilla, Warm Vanilla and Tawny. 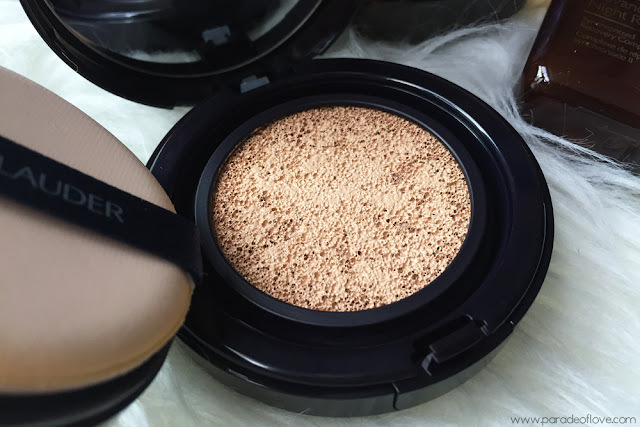 I am wearing 2W0 Warm Vanilla which is a tad lighter than my skin tone but I use a darker loose powder to tone it down anyway. As you can see, it does a decent job in covering up those redness and even dark circles for me. No extra concealer needed. 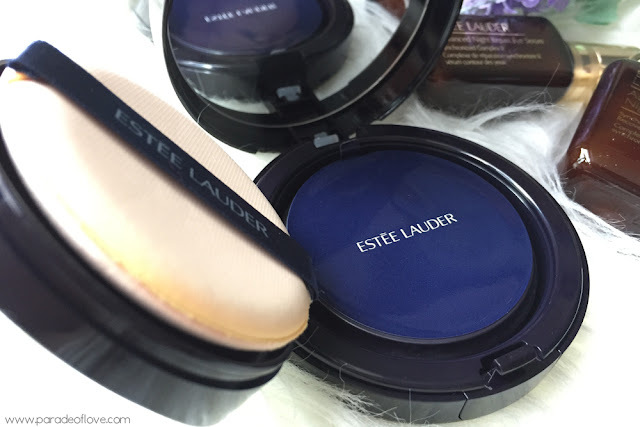 Disclaimer: Products were sent to me by Estée Lauder Singapore for consideration. The above review is based on my true and honest opinion without influence from others. It also contains information from the brand. I am NOT compensated nor affiliated with the brand.